Angels really exist. In fact, you meet them all the time. 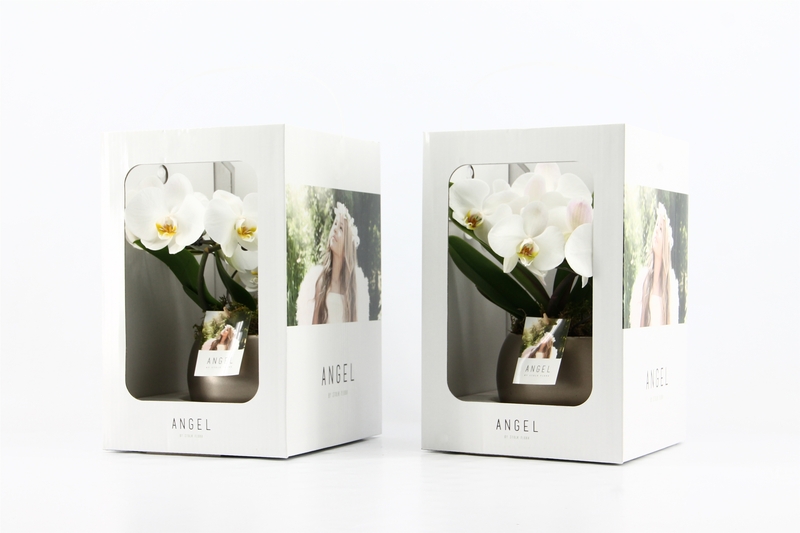 Your family members, your best friends, the one you love the most… Why not surprise the angels in your life with an Angel! 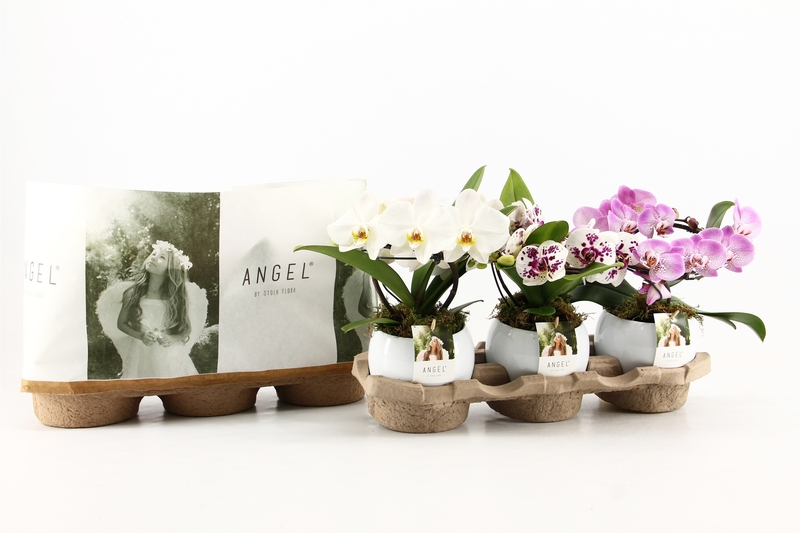 The Angel is a new and distinctive orchid concept, presented to you by Stolk Flora! 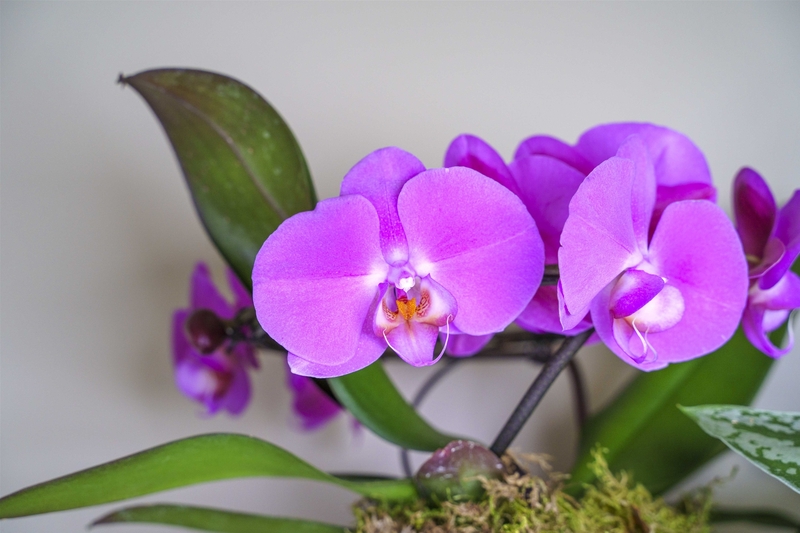 This orchid has all the characteristics you would expect of a real Angel: tender and sweet, cute and lovely. 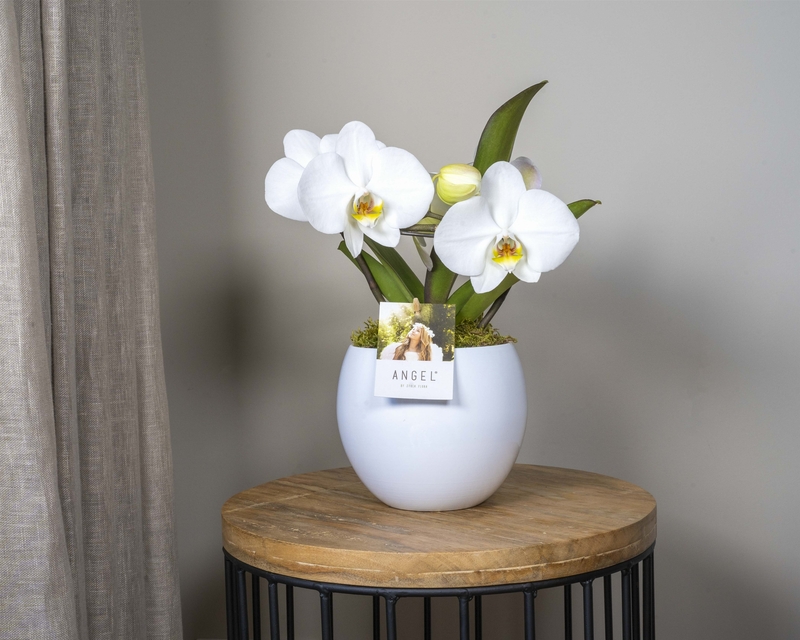 Angel is a hand-crafted orchid. 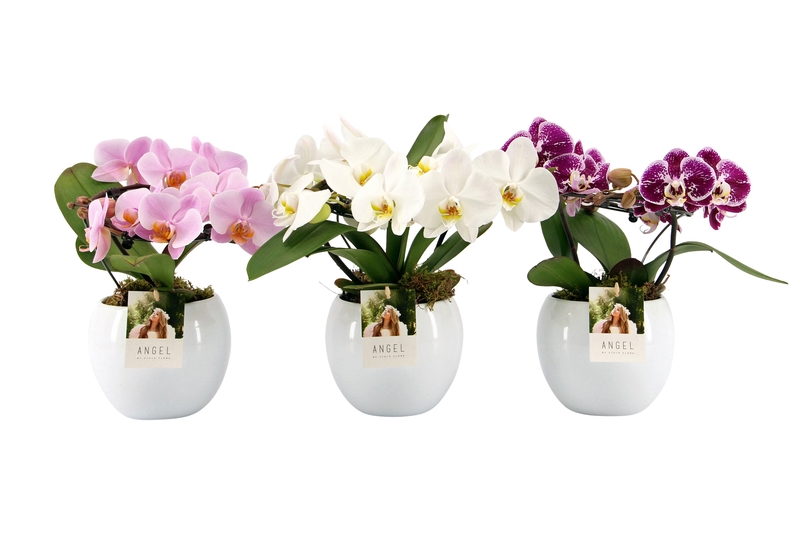 The orchids used for the Angel concept are carefully selected at an early stage in their development. The stems are then gently twisted to achieve a unique shape. 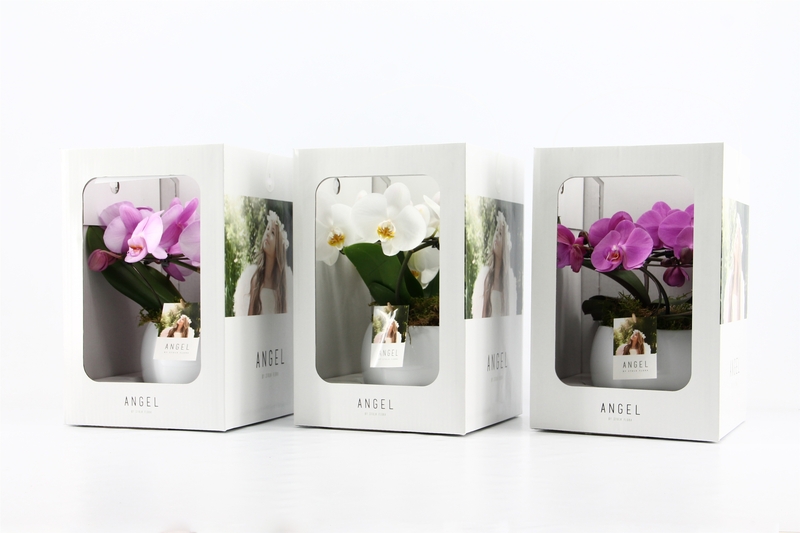 With its attractive colours and large flowers, the Angel is a real eye-catcher. 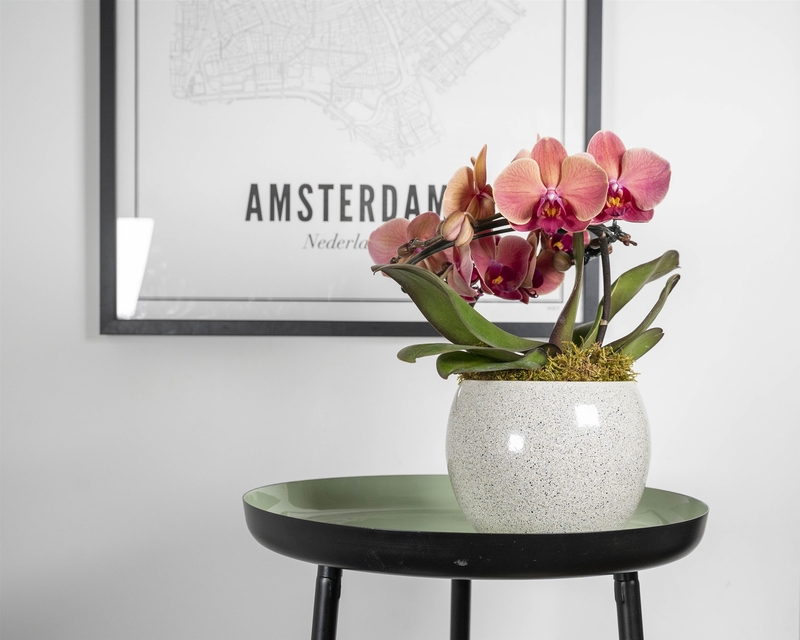 And at only 30 cm high, it’s the ideal orchid for displaying on a table. 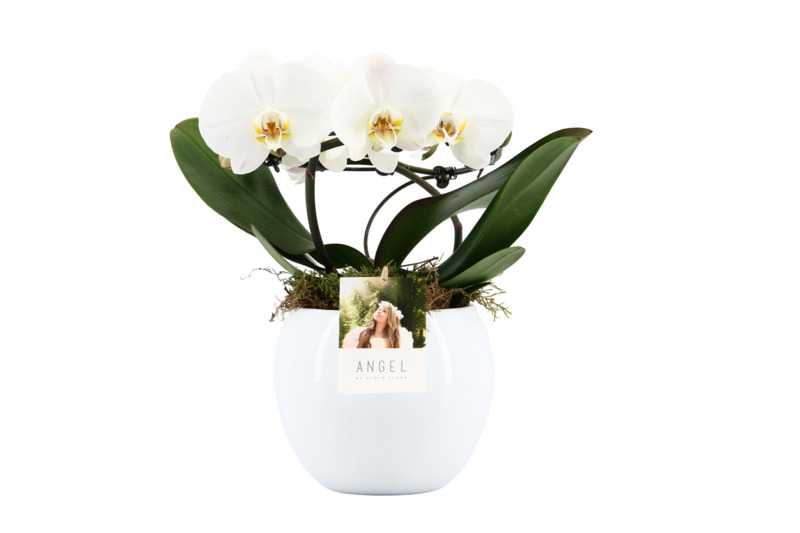 The Angel is provided with a trendy pot: white and smooth, or green-hued with a subtle decoration. 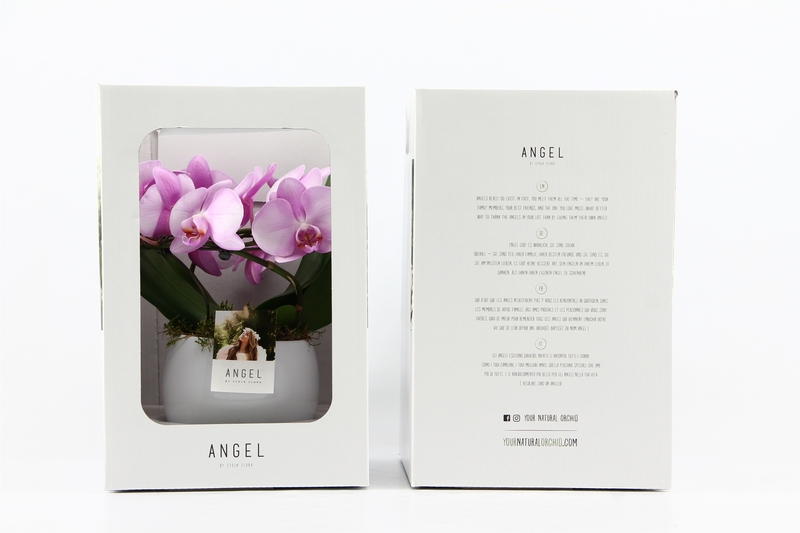 The Angel packaging oozes that same exclusivity. 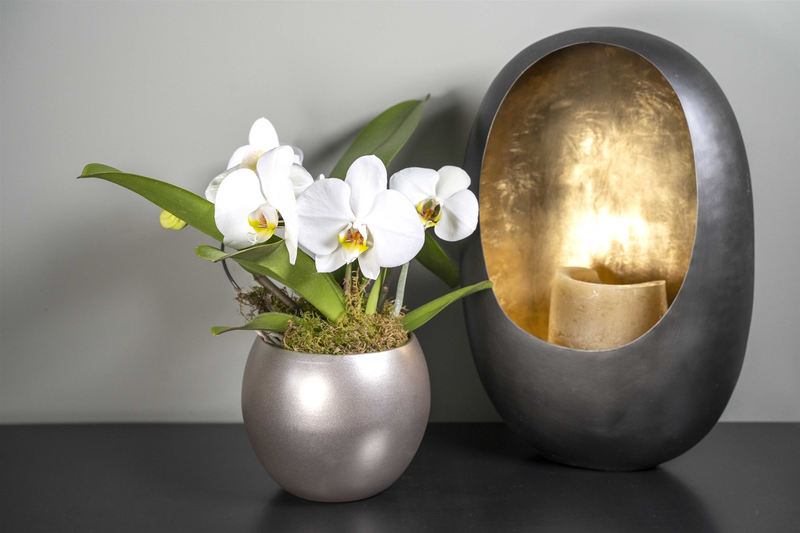 Alongside its extra aesthetic value, the gift packaging has functional properties, providing excellent additional protection to orchids during transport. 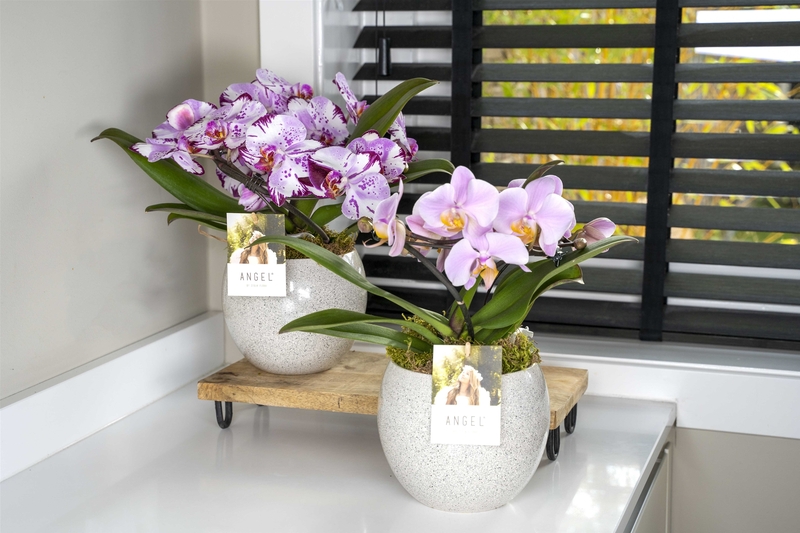 The handle on the packaging also means the orchid is easily portable, while the use of FSC represents the ‘natural’ character. A multilingual description in English, French, German, and Italian on the back highlights how special Angel really is. What a great gift to give! 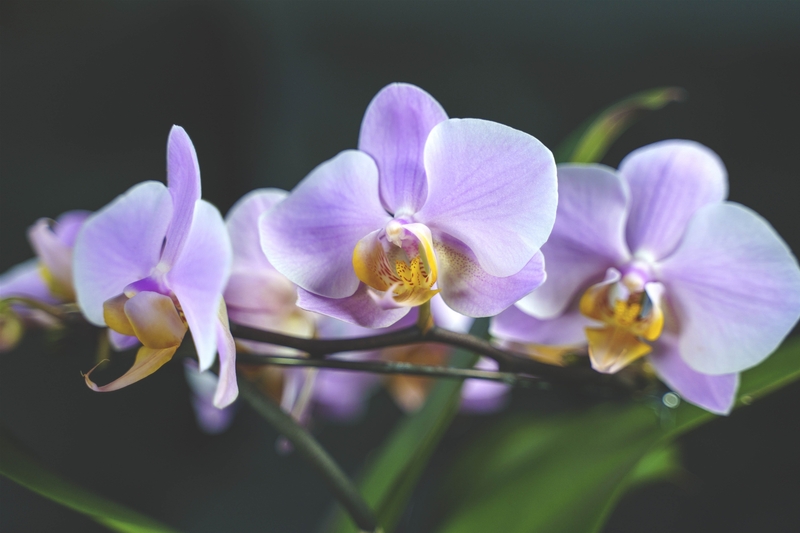 Want to know more about our orchid concepts? Get in touch. We look forward to meeting you.